Having had dogs all my life, including a Collie cross called Patch, Chip a Poodle x Westie and two Cocker spaniels, Bruce and Bel, I have become fascinated by canine/human dynamics, both for single dog households and those where there are multiple canine/human interactions. With an Advanced Diploma in Canine Behaviour Management, I am a full member of the APDT (membership no 01269) and am proud to follow their code of conduct of kind, fair and effective dog training using positive reinforcement. Additionally I hold membership of the Guild of Dog Trainers (GODT) and the Pet Professional Guild UK. Being a Clever Dog Company Method Licensed Trainer has given me the in-depth knowledge and resource base to allow me to provide both behavioural and training advice for dogs, both young and old. Through my work to date I have started to understand how the interaction between the dog and humans can cause both physical and mental stress. This has lead to me becoming involved with Alex Wilson of Xtradog who is a P1 practitioner of the Tellington Touch (TTouch) method. TTouch is method to reduces the physical and mental stress created by human contact, handling, environment and other sub-optimum environmental conditions. It reduces chronic pain and poor functioning, which also cause stress. When pain or impaired nerve or muscle function disable a part of the body, TTouch induces the animal to activate any available alternate neuromuscular pathways to restore function. The awareness it brings often relieves associated pain. 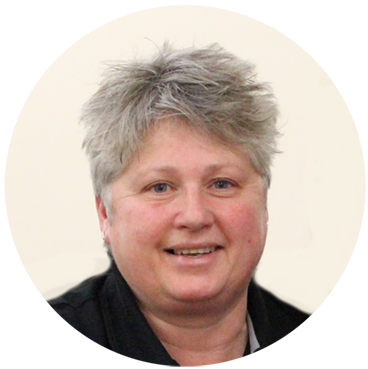 Embracing a professional yet friendly attitude towards her clients, Ann is constantly developing her knowledge, which makes her a sterling choice for any owner wanting to help their dog become a calm and happy household pet.